The protagonists will be the verses of Divina Commedia interpreted byIppogrifo Produzioni and the delicious dishes of Caffé Dante. 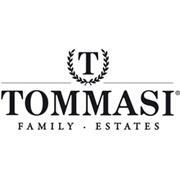 Since 1902 Tommasi is a family viticultural company set in Valpolicella Classica region, Verona. Today we own different estates: Tommasi and Filodora in Veneto, Caseo in Lombardy, Casisano in Montalcino and Poggio al Tufo in Maremma Tuscany, Surani in Puglia. Tommasi is also Hospitality: we aim at pairing the wine world with the territory experience. You’re welcome at Villa Quaranta in Valpolicella, Albergo Mazzanti and Caffè Dante Restaurant in Verona and Poggio al Tufo Agriturismo in Tuscany.